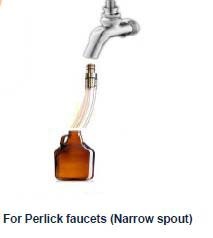 Fill your growler from your Perlick tap. It fills from the bottom to reduce foaming. 500ml Plastic (Pet) Beer Btl.